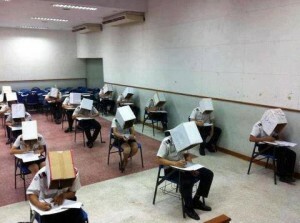 We’ve all taken exams, nobody likes them but they are a necessary evil in life for most people. Ever been tempted to just peek at the person next to you who repeatedly has their hand raised requesting more paper? 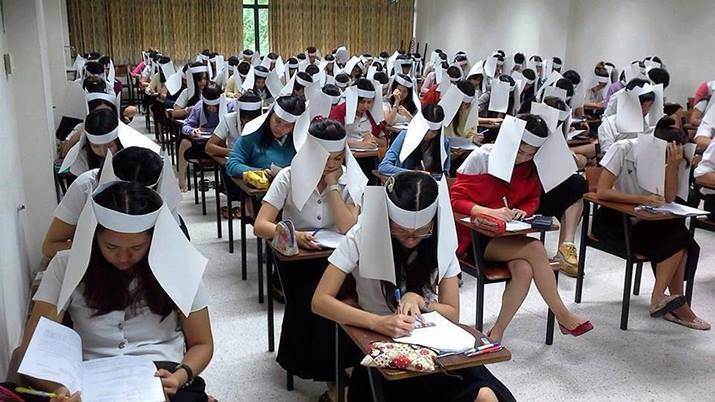 Well at Kasetsart University’s Faculty of Agro-Industry, in Thailand, they found the perfect solution : Anti cheating hats – seems to have kicked up a storm and has since been banned ! Just write your answers on the inside of the boxes – loads of room in there !